Is there ever a bad day to fish? 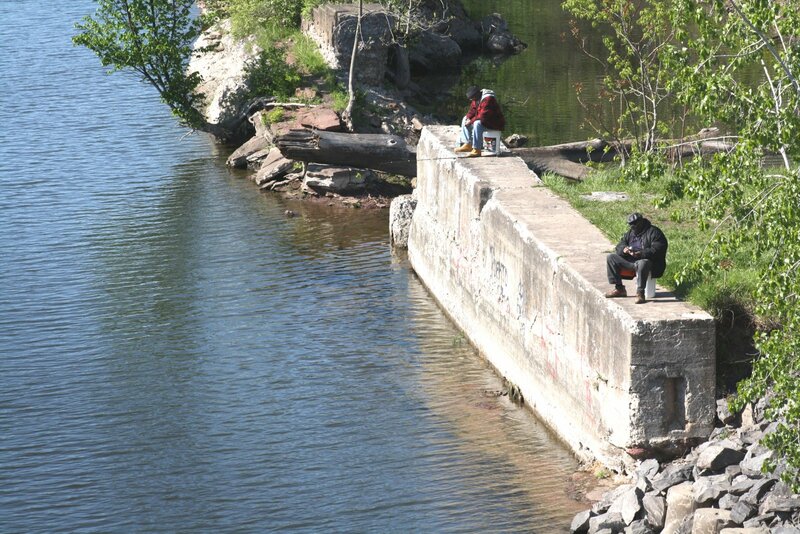 We happened upon this scene Monday afternoon while driving across the Oneida St. bridge: Two men sitting on opposite ends of a concrete wall along the Oswego River, casting for fish. 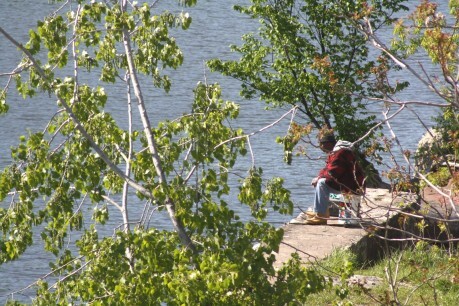 One of two men sitting along the Oswego River on Monday afternoon, fishing. 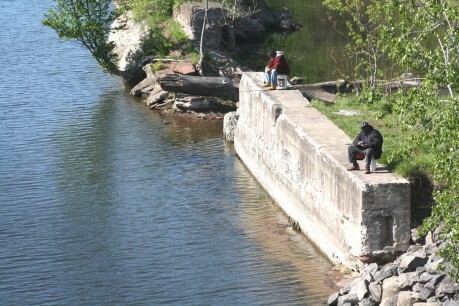 Two men working opposite ends of a concrete barrier, fishing on Monday afternoon.